GRU tag affixed to the top. Text type: in black paint-hand written. 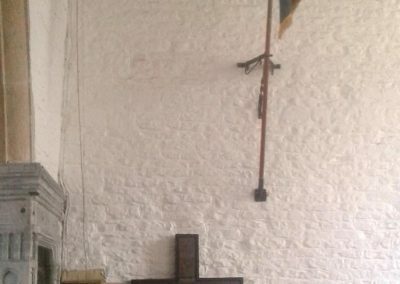 Black paint also used to outline the inside of the cross. 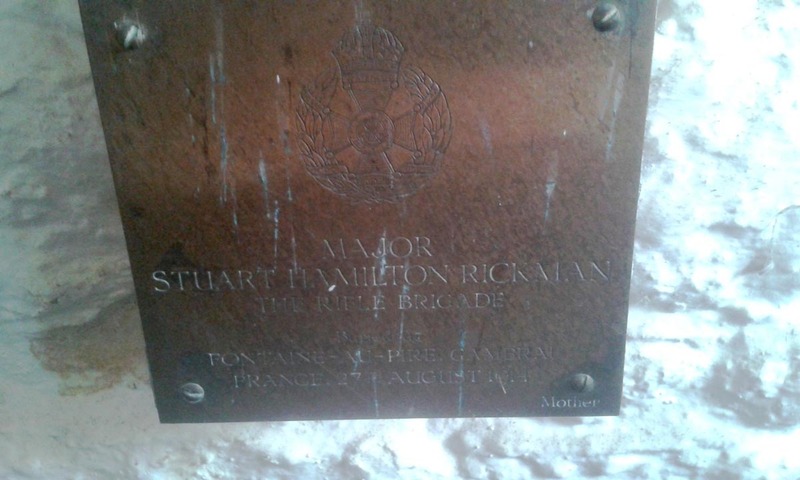 Major Stuart Hamilton Rickman MID twice. Unit: 2nd Battalion, attached to and commanding 1st Battalion, The Rifle Brigade (The Prince Consorts Own). 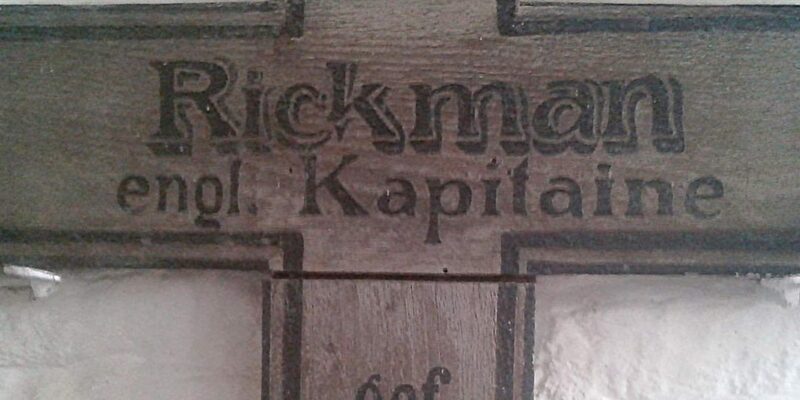 Death: 27 August 1914 died of wounds in Cambrai hospital Western Front. 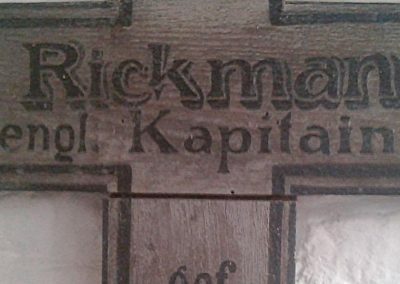 A biography of Major S H Rickman (image attached) lists his background and military service. 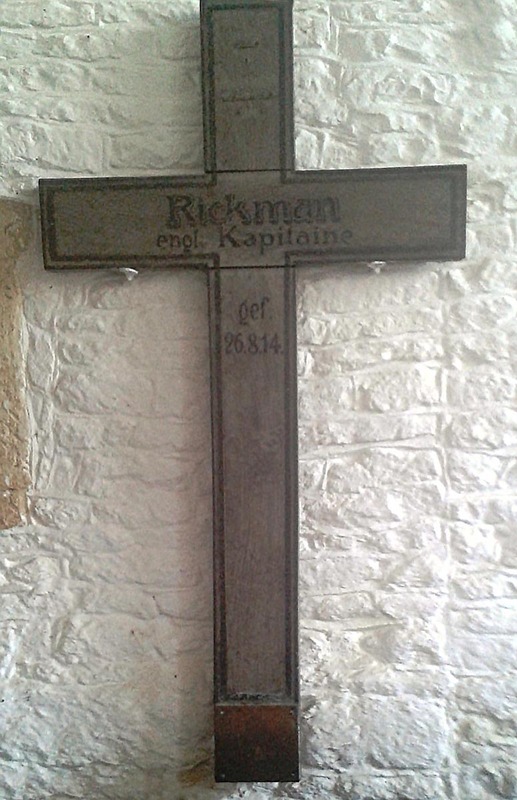 What is interesting about the wooden cross is the fact that this is a German cross, stating Captain Rickman. 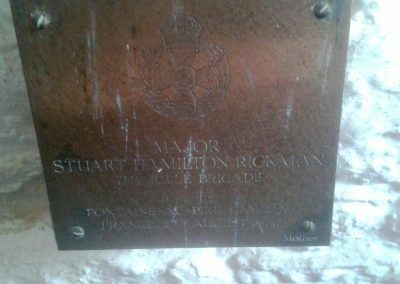 It may have been the case that in “the fog of war” Major Rickman’s rank was unclear, especially given the state his body may have been in. 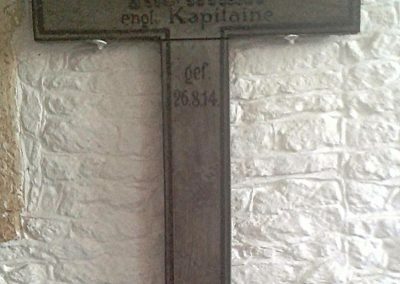 The brass plaque affixed by his Mother when the wooden cross was returned to England, corrects the error in stating “Major” SH Rickman. 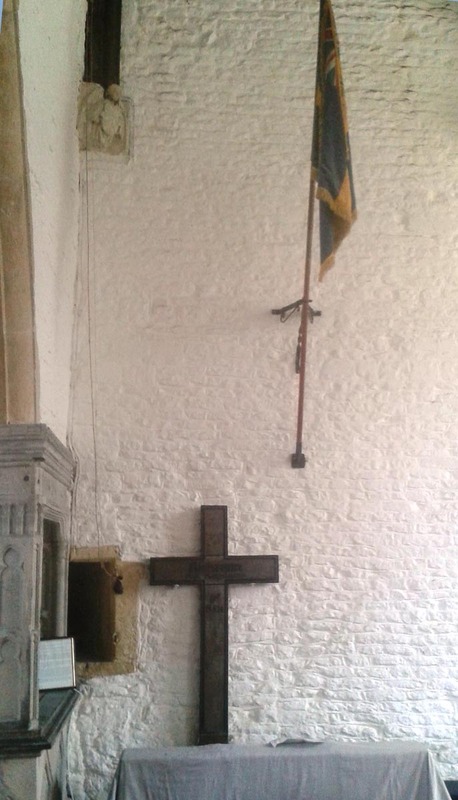 Cross is of German origin.